Our newest renovation-the Superior Garden Rooms at our luxury hotel offers exceptional lodging in Saratoga Springs, NY. 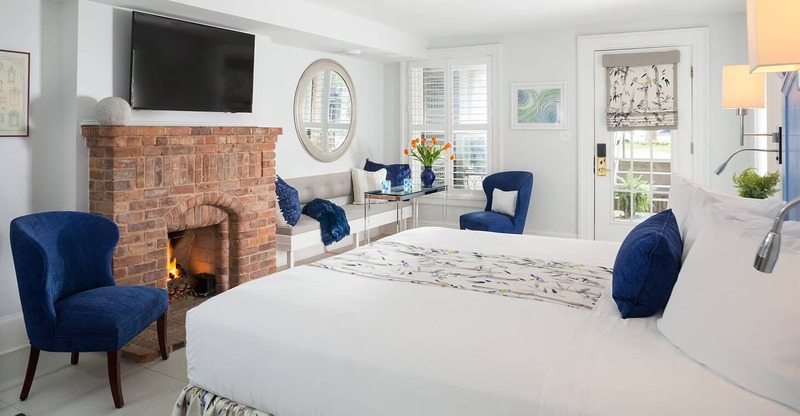 The rooms feature an inviting king size bed with heated tile floors, a warm and cozy fireplace, private terrace with personal entrance up to Broadway and a spectacular bathroom! Double sink vanity and a wet room with large double whirlpool tub and two showers and a rain shower. This room also has a good morning kitchen to chill a bottle of champagne or iced tea. 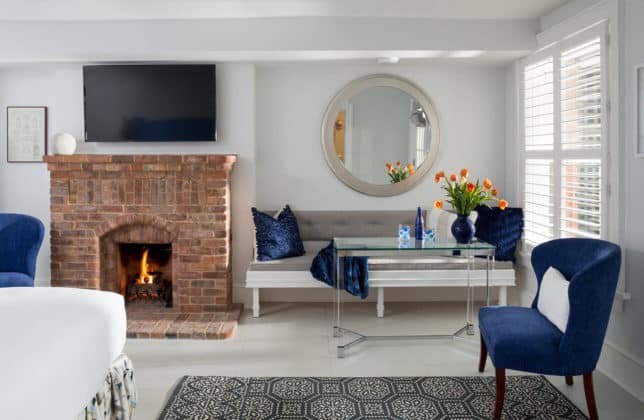 This is a perfect room for honeymooners, babymooners or a special occasion celebration.